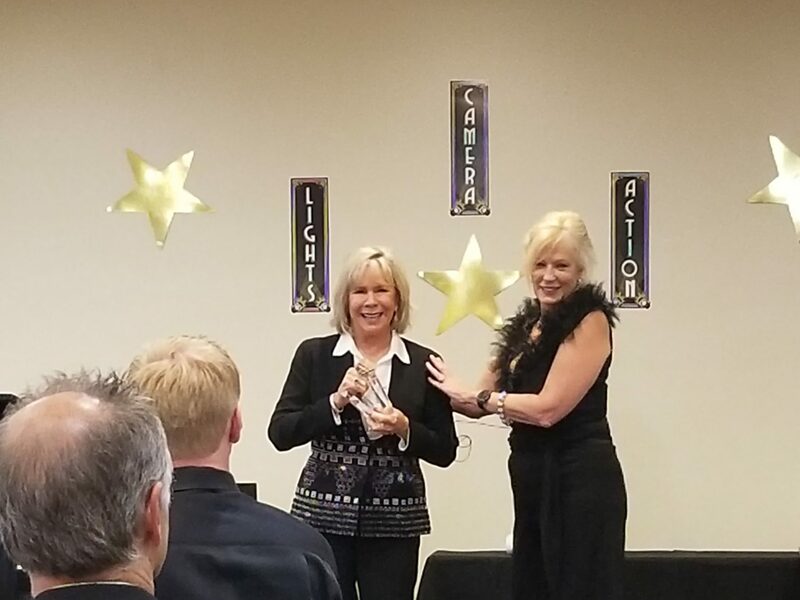 Funny motivational speaker Linda Larsen, CSP, CPAE was presented with the George Morrisey Lifetime Achievement Award during the June meeting of the National Speakers Association – Central Florida Chapter. George Morrisey, CSP, CPAE and Cavett Award winner is nothing short of a legend in the speaking industry. 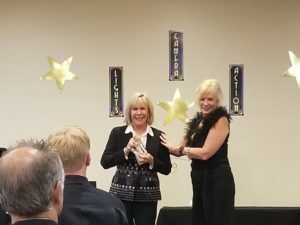 This award is given at the Chapter President’s discretion to a member of the chapter whose achievements as a professional speaker are meritorious. And THAT’S Linda Larsen. 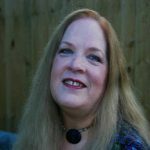 I have had the honor to work with Linda since February of 2005. She is funny, smart, caring, and does everything humanly possible (and I’ve seen some super-human skills too) to make life easier for meeting planners. And I have seen over and over again when audience members get that look on their faces at the moment when they say to themselves “wow, if she can make it through what SHE went through, then I can make it through anything!” Working with her is a joy and it doesn’t get better than to love and to be loved by her. Of the three people who have had the greatest impact on my life, she joins the ranks of my mother and my husband. I’m so very proud of her! ← High Praise for Linda Larsen after Speaking to PA Dental Hygienist’s Assoc.